I am slacking in terms of Christmas Shopping this year. Normally I am the sort who has done all my shopping before November hits and then by December it’s all wrapped with ribbons and bows waiting to be shipped to the North Pole for Santa to deliver. This year however the only present I have purchased is for the Hamster and even that is still sat in my Amazon basket awaiting check out. I am currently travelling 2 hours for work so definitely going to utilise this time to do some shopping! So here are the 10 Christmas Stocking Fillers (in no particular order as I am too indecisive) located from the middle of the M25. This little set is only £6.99 from the lovely little shopping haven that is iwantoneofthose.com. I don’t even eat egg, or toast, but just looking at this cheers me up. How could anyone’s morning not be brightened with this Batman themed breakfast? 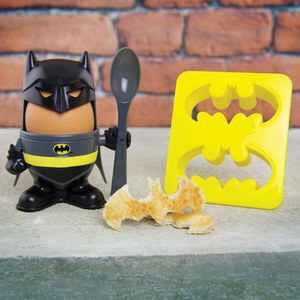 Batman’s removable mask will keep the egg warm until you’re ready to quack it open and with the cutters you can have perfect batman symbol toast shapes to dip. Also currently on a 3 for £20 mix and match promo! These will cost you £3.99 from findmeagift.co.uk. 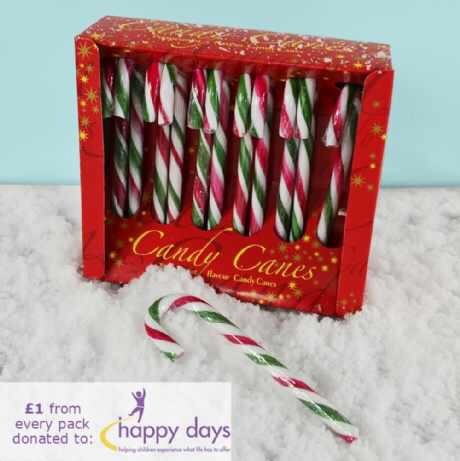 A candy cane is a traditional little touch to a Christmas stocking and by choosing these ones you are also helping Happy Days Children’s Charity. Every box sold means £1 for the charity and considering they are only £3.99 to begin with it is nice to know that we are giving something to help others who need it as well as giving gifts to family and friends. 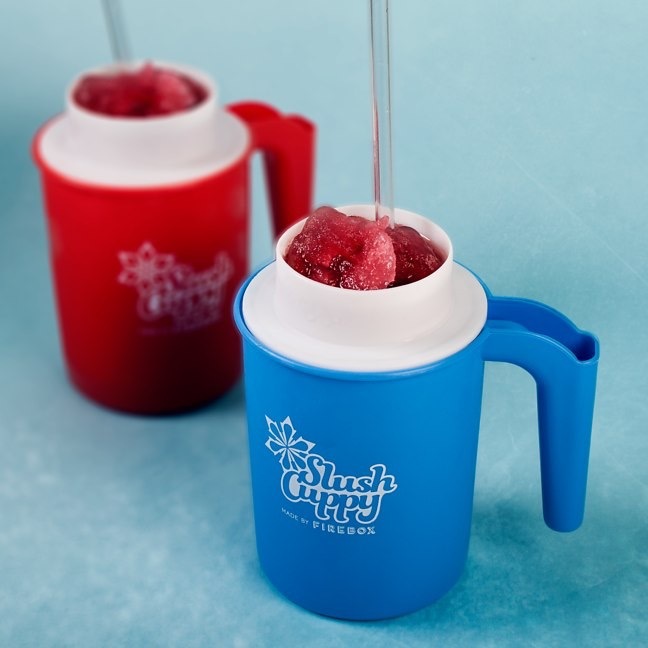 The Slushy Cuppy turns any drink into a Slush Puppy! Reminds me of school holidays when Nan used to take me and the Brother for a Slush Puppy and we’d compete to see who’s tongue would turn the bluest. £9.99 from firebox.com so maybe pushing the limit for a stocking filler or Secret Santa but looks like a really good product with good reviews. 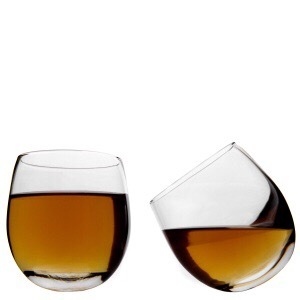 These clever little glasses can be rocked and spun and still won’t spill a drop! 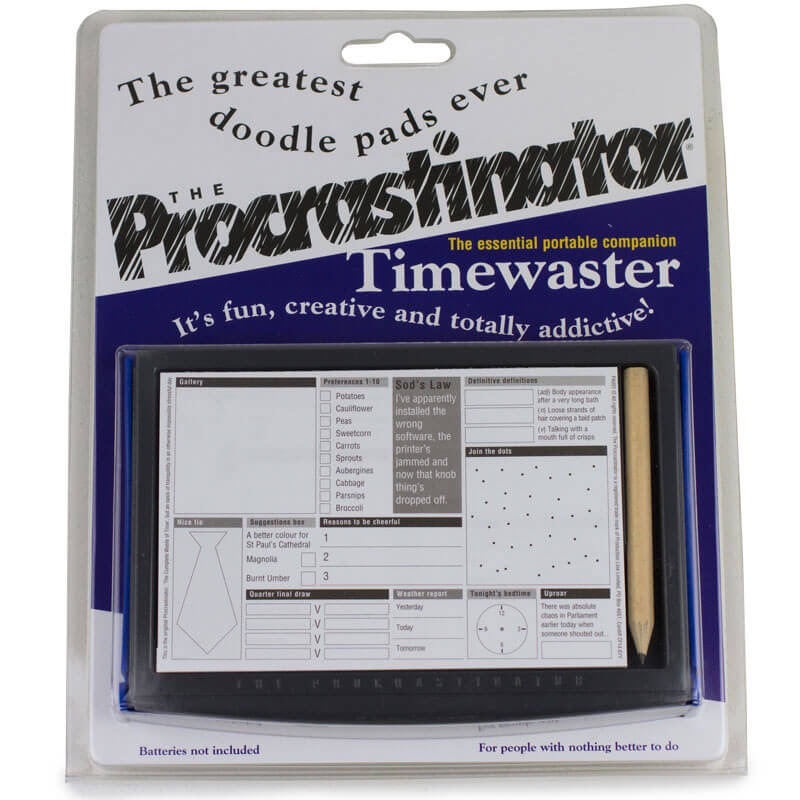 Currently only £6.99 from IWOOT and also part of the 3 for £20 offer. I am a Whisky lover… hint hint. There are two types of people at Christmas, Sprout Lovers and Sprout haters. 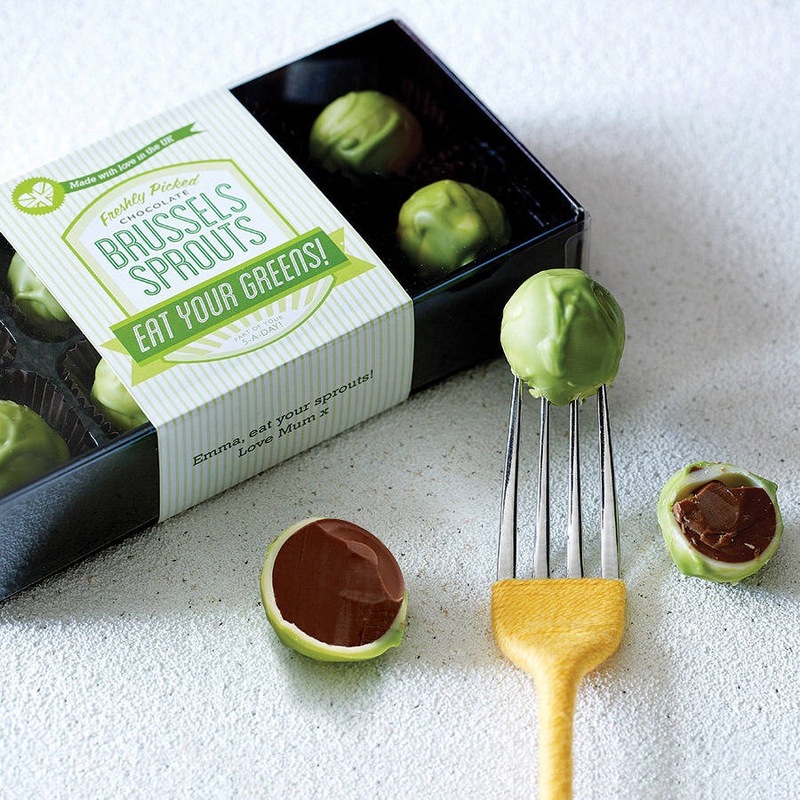 Either way these little chocolate sprouts make a cute little stocking filler. 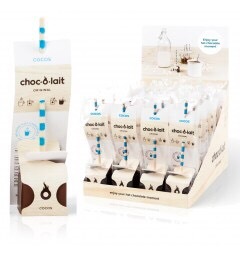 They are available in either milk chocolate or dark chocolate and mint and are £6 for a small bag or £9.95 for the box shown below ft rom notonthehighstreet.com. Findmeagift.co.uk for only £1.99 makes a good secret Santa present for colleagues or friends. 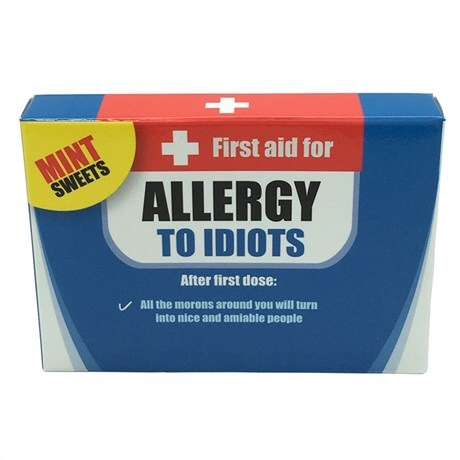 Also available in Anti-Snoring Mints, Allergy to Housework and Allergy to Mondays. Success rate is currently unknown. 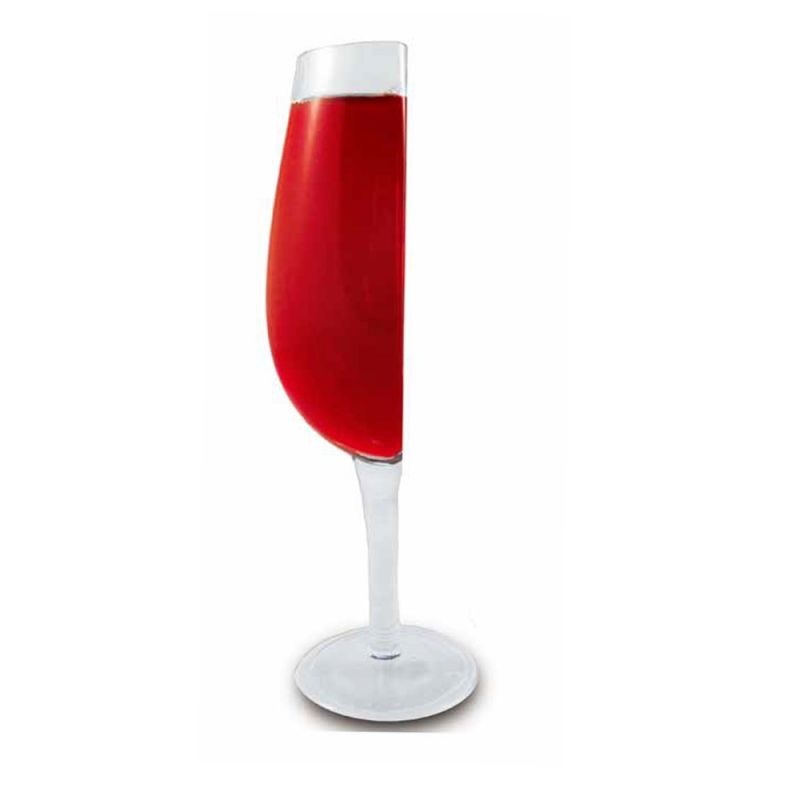 7) – Half a Wine Glass or a Bottle? How this wine glass stands up I’m not too sure but it is great for those times when you ask for “just half a glass” and some bugger fills it all the way up. Now that is impossible due to this half a glass. £5.99 from Menkind. Good quirky little present for a wine lover. 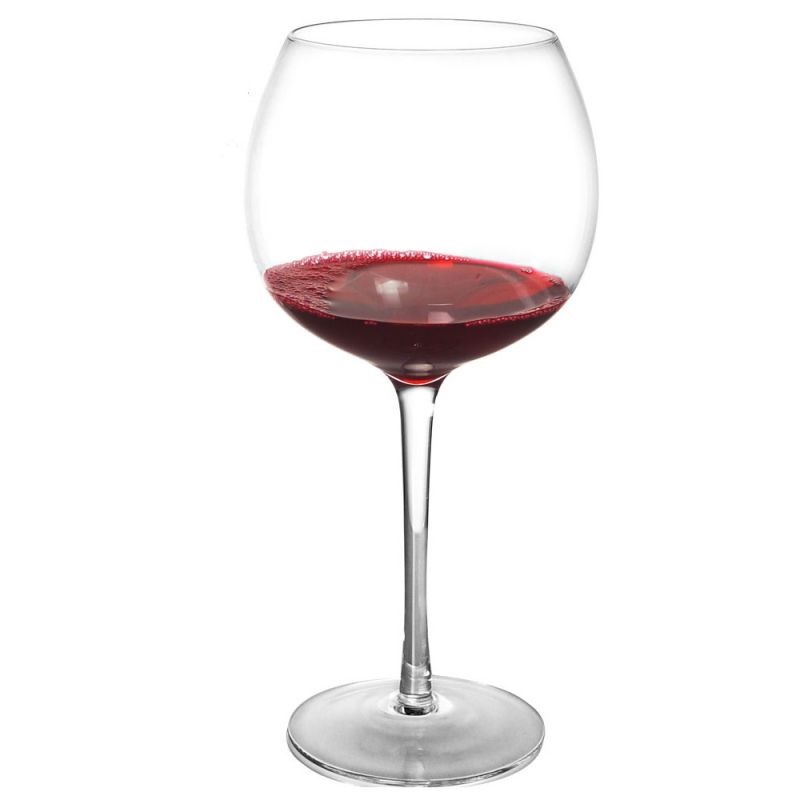 For when those times when half a glass is not needed, on the opposite end of the spectrum is this glass for £9.99 which can hold over a bottle. Sounds like my kind of glass. One for the kids. 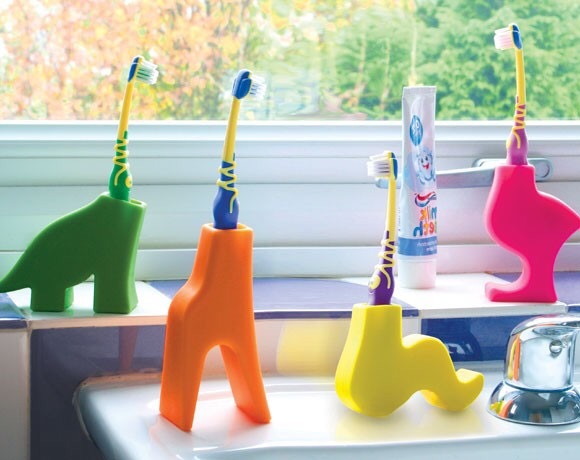 This stocking filler is both quirky, useful and hygienic! Avliable in 4 different animals from totally-funky.co.uk for £7.99. 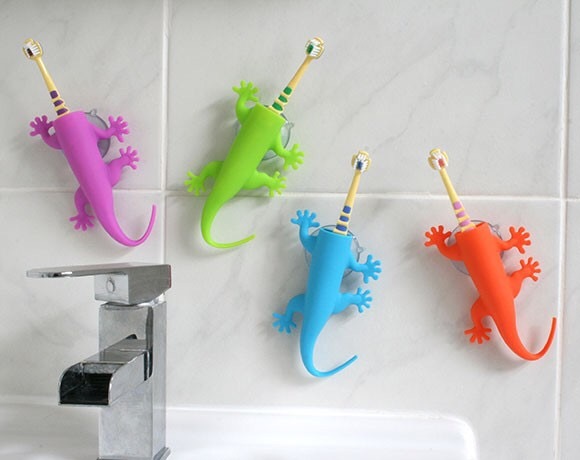 Choose from Bella Bird, Diego Dinosaur, Grace Giraffe and Sid Snake. More aimed at kids I agree but I thought they were pretty cool! Check out Larry the Lizard Also! These can stick on the wall! I am that good of a procrastinator that I have successfully wasted most of my journey round the M25. However I have still done no shopping for the lovely people in my life, fear not I’m sure Santa will surprise you Christmas morning, if you’ve been good that is!